Let’s be real here, branding your business can be a huge investment and quite challenging. DIY branding is not for the faint of heart. By having some patience, doing some research, digging deep into your business goals, preferences, and by keeping your budget in mind you can create a brand that has good bones on your own. 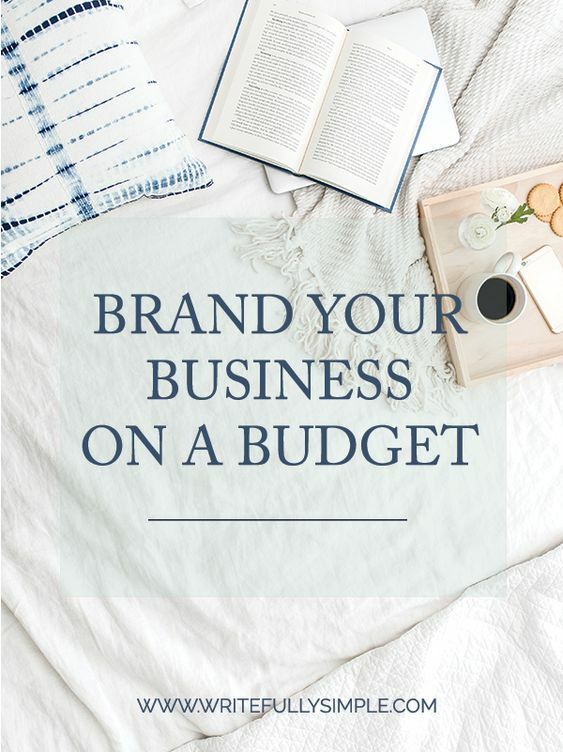 Today I am going to go over some ways on how to brand your business on a budget. Good design takes time and patience. I get that you may be feeling rushed, and you are excited to start this chapter in your business, but this is something that you do not want to rush. Block out an appropriate time to get things figured out and if you end up having to push the deadline back a little bit, and know that it’s okay. The best part about it is that as you go, you can always tweak things. Nothing has to be permanent, so learn to be flexible. This is the most important part of creating your brand. Learn who your ideal client or audience is. You are going to need to design your brand around what will attract those individuals. Some of the things that you will want to learn about your ideal clients is where do they hang out, what are their pain points, how can you help them, and what visually attracts them. Find out what other brands that they already love and what it is about them that draws them in. Pretty brands are awesome, but they are useless if you are not bringing in the right clients. Keep things simple, especially in your brand design. Do not over complicate things. Stay away from all the latest trends just because they are the popular choice, stay away from multiple patterns, and try to stay with 2-3 font choices, and the 3-5 color range. When you are first starting off, you may not know exactly how your business will evolve in the future. More than likely your brand will not be long-term. In the last 4 years that I have been in business, my vision and goals have changed and developed in ways that I did not see coming when I first started off. My preferences and ideal clients changed since I began, so certain parts of my brand changed along the way. By keeping things simple it will allow your brand to look put together. It will also allow your brand to evolve with your business as it grows, while still being recognizable to others. If you have a tight budget, and are not comfortable or wanting to create your entire brand then start off by finding someone to create a logo for you. Go into the process knowing some basics of what you are looking for, and know that they may not include a custom color palette with the logo design. Be prepared to take on that part of the brand yourself. There are some designers that will design just a logo for you, or you can also find designers that create beautiful predesigned brands that you can customize for your own business. Some of their packages include everything from a logo, a color palette, font selection, business cards/marketing materials, and various graphics to use throughout your business. You are also going to want to make sure that you have the proper tools in order to create various elements of your brand. I highly suggest investing in Adobe PhotoShop or Illustrator. Canva and Pic Monkey are great tools if you are unable to afford Adobe at this time, especially for your social media graphics. Just know that in order to create a vector file for your logo you will need Adobe Illustrator – or find someone that can recreate it for you. Be smart about your investment – don’t go with the cheapest designer because it’s all you can afford right now. Always choose quality over quantity. Truth is, you can find an amazing designer who will create a logo for you and you can go to their blog or other branding designers blogs and learn how to create other areas of your brand to help you until you are able to get a full custom brand down the road. Always remember quality over quantity. Overall, designing your brand and knowing that you are starting your adventure off on the right foot should be fun and exciting. I am not going to lie, it can be overwhelming. But turn out the noise, and stop looking for new inspiration all the time. Stay true to yourself. Stay focused and the clarity of your business and brand will come through. As always, if you have any questions at all please comment below. And if you have branded your own business what are some things that you found helpful in your DIY journey?